The Diane von Furstenberg Candy bootie invites you to bare your sartorial teeth. 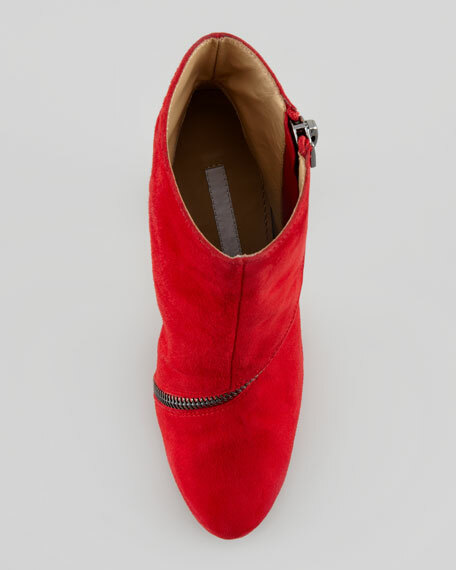 An oversized zipper cuts across rich red suede, adding a bold line and modern curve to an infinitely wearable style. Asymmetric zipper trim with logo-stamped pull. 4 3/4" stacked heel; 3/4" hidden platform.